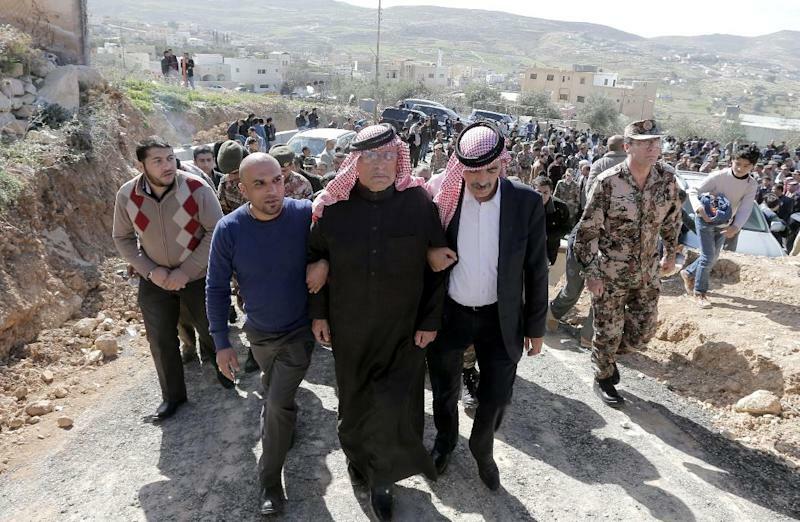 Amman (AFP) - King Abdullah II vowed Jordan will take tough action after hanging two convicted militants Wednesday in response to the burning alive of one of its pilots by the Islamic State group. 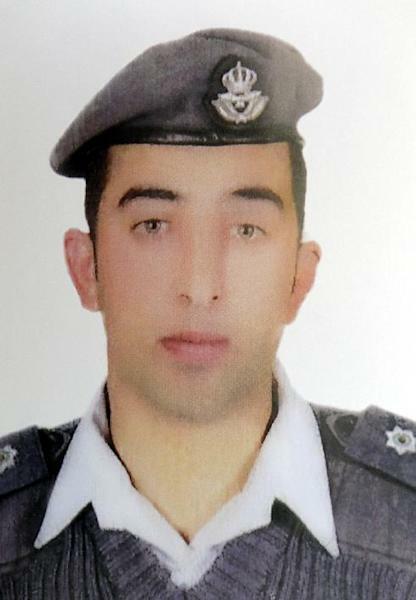 The gruesome murder of airman Maaz al-Kassasbeh triggered international condemnation and prompted Jordan to execute two Iraqis on death row -- female would-be suicide bomber Sajida al-Rishawi and Al-Qaeda operative Ziad al-Karboli. Abdullah cut short a visit to the United States and flew back to Amman, where he was greeted by large crowds at the airport before meeting with his security chiefs. Information Minister Mohammad al-Momani said Jordan was "more determined than ever to fight the terrorist group" IS. The statements came after Jordan said it hanged Rishawi and Karboli before dawn at a prison south of the capital. Amman had promised to begin executing Islamic extremists in response to the murder of Kassasbeh, the 26-year-old who was captured by IS when his F-16 fighter plane went down in Syria in December. In a highly choreographed 22-minute video released Tuesday, Kassasbeh is seen wearing an orange jumpsuit surrounded by armed and masked jihadists before he appears inside a metal cage apparently soaked in petrol. One of the jihadists lights a trail of fuel that runs into the cage, engulfing him in flames. The video -- the most brutal yet in a series of recorded IS hostage killings -- prompted global revulsion and vows of unwavering efforts to combat the Sunni Muslim extremists. The killing sparked outrage in Jordan and demonstrations in Amman and the city of Karak, the home of Kassasbeh's influential tribe. Egypt's Al-Azhar, Sunni Islam's most prestigious seat of learning, called for the "killing, crucifixion or chopping of the limbs" of IS militants, expressing outrage over their "cowardly act". The hangings came just weeks after Jordan ended an eight-year moratorium on the death penalty. Amnesty International criticised the move, saying executions should not be used "as a tool for revenge". Rishawi, 44, was sentenced to death for her participation in triple hotel bombings in Amman in 2005 that killed 60 people. She was closely linked to IS's predecessor organisation in Iraq and seen as an important symbol for the jihadists. Karboli was sentenced to death in 2007 on terrorism charges, including the killing of a Jordanian in Iraq. Jordan, a crucial ally of Washington, is one of several Arab countries that have joined a US-led coalition carrying out air strikes against IS in Syria and Iraq. One of them, the United Arab Emirates, withdrew from air strike missions after Kassasbeh's capture due to fears for the safety of its pilots, a US official said. "I can confirm that UAE suspended air strikes shortly after the Jordanian pilot's plane went down," the official told AFP. "But let me be clear that UAE continues to be an important and valuable partner that is contributing to the coalition," said the official, who spoke on condition of anonymity. The move was first reported in the New York Times on Wednesday. 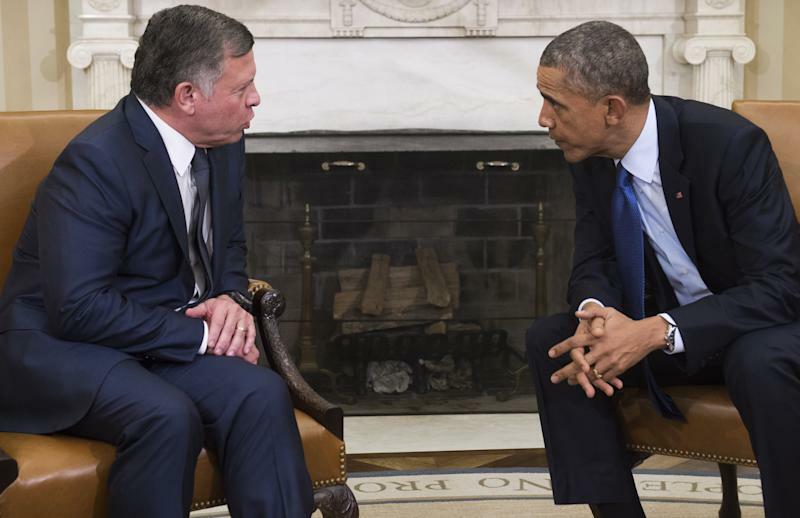 US President Barack Obama, who had hosted Abdullah in a hastily organised meeting before his return to Jordan, led condemnation of the airman's killing, decrying the "cowardice and depravity" of IS. Turkish President Recep Tayyip Erdogan said the brutality of IS was "beyond comprehension". "It has nothing to do with our religion." Kassasbeh was captured on December 24 when his jet crashed over northern Syria on a mission that was part of the coalition air campaign against the jihadists. Jordanian state television suggested he was killed on January 3, before IS offered to spare his life and free Goto in return for Rishawi's release. Saudi Arabia's new King Salman called the killing "inhuman and contrary to Islam". His country, the spiritual home of Islam and another member of the coalition, condemned the "misguided ideology" behind Kassasbeh's murder and accused groups like IS of seeking "to distort the values of Islam". The UAE said the actions of IS "represent epidemics that must be eradicated by civilised societies without delay". IS had previously beheaded two US journalists, an American aid worker and two British aid workers in similar videos. IS has seized swathes of territory in Syria and Iraq and last year declared a "caliphate" in areas under its control, imposing its brutal interpretation of Islam and committing widespread atrocities. In the Syrian border town of Kobane, Kurdish fighters who recently drove out IS with help from coalition air strikes held a minute's silence for Kassasbeh. "He is one of Kobane's martyrs," said activist Mustafa Ebdi.